Sturridge, who is out of contract at Anfield in the summer, has until 20 November to enter a plea. The striker suffered a dreadful time at The Hawthorns, playing six games, failing to score before injuring his hamstring and returning to Liverpool. 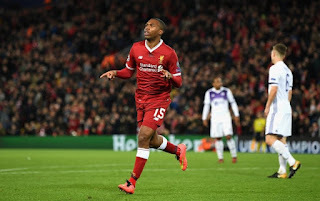 He has enjoyed somewhat of a renaissance this season under Jürgen Klopp, scoring in the Champions League and also securing a draw at Stamford Bridge with a stunning 30-yard equaliser against Chelsea in the Premier League.